So, I recently had a client that went through some extreme circumstances and during a coaching session, she asked me what was the psychological reason for experiences, in general? I am sure that we have all asked ourselves this question at one point or another, and since there are astrological contributors this week that may bring about difficult experiences, I figured that I would attempt to answer it here. 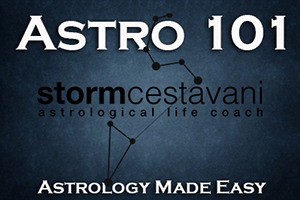 Let me first say that I believe that the astrological chart describes a natural unfoldment of potential that is triggered by transits, progressions, and other astrological prognosticative tools, that provide opportunities for the chart to manifest and the individual to become a well-rounded individual. The experiences we have, as a result of our natal chart, bring triggered, whether for good or ill, helps to navigate this unfoldment process. Secondly, I believe that awareness of the daily astrological energies gives us the ability to consciously integrate astrological energies and make them useful in our lives, which is the point of transformational astrology. Experiences, triggered by astrological factors, serve the overall pattern that ultimately allows us to develop according to the natural laws that are essentially part of our inner design or plan. Now, the reason this question is pertinent to this week’s astrology is that the Sun makes difficult aspects to both astrological ‘bad boys,’ Saturn (4/10) and Pluto (4/13). The Sun is the governing body of the chart and when the Sun undergoes difficulties, then we usually experience them in the outer world first, through our experiences, and then we experience them inwardly by internally processing experiences and ultimately making changes when necessary. In the case of Saturn, frustrations and limitations may lead to depression or feeling stymied and restricted. In the case of Pluto, feelings of being controlled or dominated by outside influences may feel overwhelming, and at times, terrifying. However, both planets, whether we like it or not, serve a purpose. Saturn tells us to be dutiful and responsible; whereas Pluto tells us to release everything that is no longer usable or is preventing our further development. The good news is that when you work with these two planets, you bring out their productive natures and ultimately feel more secure, stable, and your life transforms into what you want it to be. In other cosmic news, Jupiter has been moving through Sagittarius since late last year, and this week will begin its annual retrograde cycle. Jupiter in Sagittarius is about our beliefs and understanding of life, and a future that is filled with potential and creative possibilities that are better than what we have now. So, when Jupiter goes retrograde (4/10) it reflects a cycle when we should question and review our core beliefs to see whether they are still useful. If they are not, then you are given an opportunity to explore new beliefs and ideas that may resonate with who you are now. This allows you to pursue life with more freedom and develop your true potential. Jupiter remains retrograde until August 11th. This entry was posted in astrology and tagged aries season, astrology, cosmic weather, horoscope, Jupiter retrograde, Mercury sextile Pluto, Mercury square Jupiter, Storm Cestavani, Sun square Pluto, Sun square Saturn, Sun trine Jupiter, Venus conjunct Neptune, venus sextile pluto, Venus sextile Saturn, Zodiac on April 7, 2019 by Storm Cestavani.